Was his final rank Oberstleutnant a.D.? What was his first name? Here is a group I have. 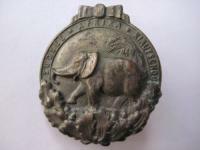 Lovely medal bar. I have a ribbon bar with similar combination, minus the oak leaves. I have similar suspicions. This bar and the one in the photo are definitely two different medal bars. This is supposedly Looff's medal bar. Does the Crown Order on this medal bar have the 50 year device? Depends when he was awarded it and his rank at that time. Gordon, You have been given very good suggestions above. I have one more, though it may not give you a conclusive list. If you can, check the medal rolls of the George VI Coronation Medal. I checked the 1925 & 1929- both say the same thing, Albert Order with Swords. However, based on the photographic evidence this must be a mistake. Everything else seems to match up. 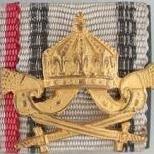 The Saxon Albert Order was awarded pre-WW1. See below extract from 1914 Prussian Rank List.